The Nobis lightweight access cover and turret can be cast into any concrete tank lid or screwed/bolted to any plastic, steel or fibreglass tank. 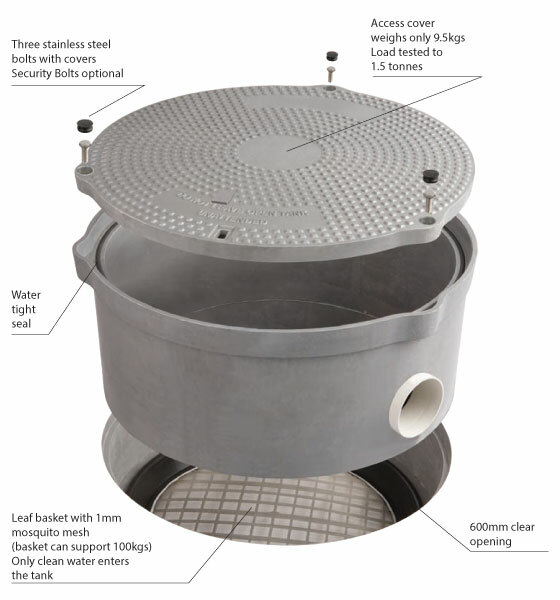 The cover has a water tight seal and is secured by three stainless steel bolts. It provides a clear 600mm opening into the tank. The cover weighs 9.5kgs and can withstand a load of 1.5 tonnes or a force of 15kN. It is suitable for light traffic areas. Nobis covers and turrets are made of a composite material of fibreglass and special resin that is moulded at high temperature and high pressure. The manufacturing process changes the molecular structure of the material to produce a very high strength light weight product.